As Easter approaches, we are continuing to retell the story of Holy Week and the story of Easter. While this isn't always the easiest story to tell young children, it is important that they know what Easter is all about. To help my daughter understand the events of Holy Week, I made a matching card game to practice sequencing the events. 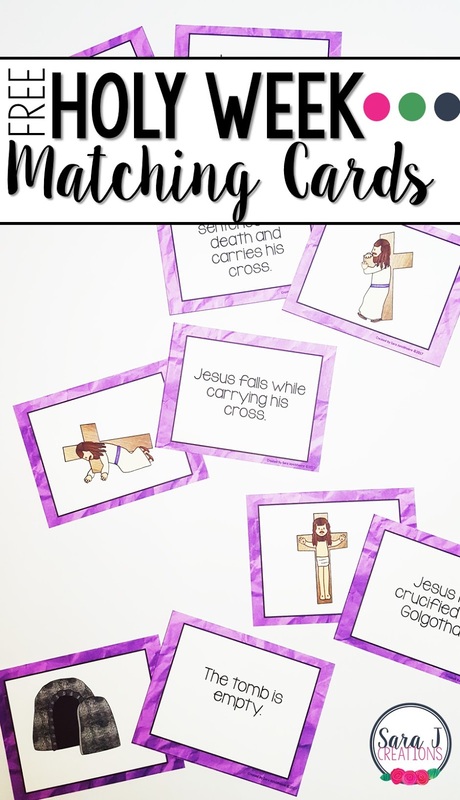 I made the cards similar to my Miracle of Jesus matching game where there is a picture and a matching description of the picture. One way to use these cards would be to match the picture to the words. Since my daughter is too young to read the words, we opted to just use the picture cards to do more of a sequencing activity. We spread out all 14 of the picture cards. 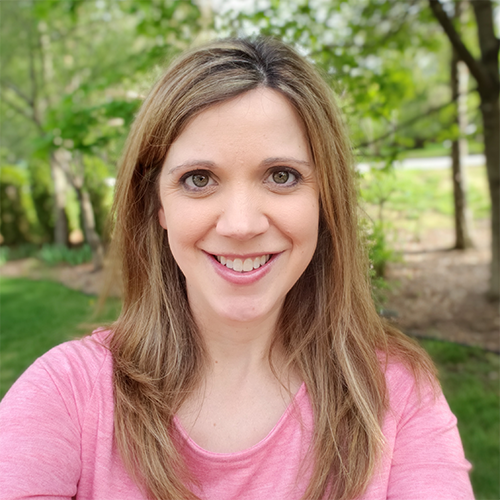 I went through the events of Holy Week one at a time and explained to her what happened. She would search for a picture that matched what I was talking about and put it in order. We kept going until we had made it through to Easter Sunday. As we continue to practice, hopefully my daughter will be able to use the cards to start retelling the story on her own. Eventually she will be able to use the word cards to help her sequence the events. Events included: Palm Sunday, Jesus teaches in Jerusalem, Jesus washes the feet of his disciples, The Last Supper, praying in the garden at Gethsemane, Jesus is arrested, Jesus is sentenced to death, Jesus falls while carrying his cross, Simon helps carry the cross, Jesus is crucified, Jesus dies on the cross, Jesus is taken down and placed in a tomb, the tomb is empty, Jesus is risen from the dead. I made these cards as a freebie to you. Hopefully, you can use them this week during Holy Week but also during Lent in future years. Click the button to download, enter your information and the cards will be automatically emailed directly to you. Subscribe now to get updates, blog posts, and freebies sent directly to your inbox!